350 volunteers will take part in this sporting event requiring all the technical and organisational rigour of a World Cup final. Grandvalira is the largest resort under one lift ticket in Andorra. Photo courtesy Grandvalira. Grandvalira officially announced today that the European Cup Finals for men’s and women’s alpine skiing will be held from 12 to 18 March on the Avet slope in Soldeu and the Àliga slope in El Tarter. The European Cup finals are the last trial before the 2019 World Cup finals, the largest sporting event in the history of Andorra. The event will consist of a total of 8 trials: two in technical disciplines on the Avet slope in Soldeu (slalom and giant slalom); and two in the speed disciplines on the Àliga slope in El Tarter (super-G and downhill). The numbers involved are a good indication of the importance of the sporting event of this season. A total of 190 skiers from 25 countries will compete in the trials. The technical and organisational demands of the European Cup finals are practically the same as for one of the finals on the alpine skiing circuit, except for the television production. This is evidenced in the team of 350 volunteers who will work the event (200 volunteers on the two slopes and 150 volunteers off the slopes). Grandvalira- Powder in the region of Soldeu, El Tarter and Grau Roig – Photo by Grandvalira. The Avet and Àliga slopes are prepared for top competition. The two slopes where the trials will be held currently have unbeatable snow conditions. Preparation work on the slopes has been intense for weeks. The technical team estimates that it will spend a total of 900 hours in grooming machines to get an optimal surface for a competition of this kind. Safety preparations have included the installation of 15 km of protective netting along the two slopes. Sixty people from the mountain staff have been working to prepare the two courses. Alpine skiing races – photo by Grandvalira. Beyond the competition itself, Grandvalira has been working on an emergency plan in coordination with the Government in order to establish a set of safety protocols during the event. During the European Cup finals the Andorran Ski Federation (FAE) will be represented by 13 Andorran skiers, 8 in the men’s category and 5 in the women’s. Joan Verdú, Marc Oliveras, Matias Vargas, Kevin Courrieu, Axel Esteve, Joaquim Rodríguez, Axel Rius, Xavier Salvadores, Mireia Gutiérrez, Carmina Pallàs, Candela Moreno, Laura Arnabat and Claudia Mijares are the Andorran athletes selected to compete at Grandvalira from 12 to 18 March 2018. This is the third time that Grandvalira is hosting European Cup finals; previous editions were held in 2014 and 2015. Grandvalira shot – Soldeu, El Tarter and Grau areas. Photo by Grandvalira. Grandvalira continues to be the resort with the largest open skiable area in all of Southern Europe thanks to the abundant snowfall we’ve had in recent weeks. The resort currently has 100% of its slopes open and 100% of services operating. Snow depths range between 80 and 170 cm. Moreover, the snowparks, ski and snowboarding schools, restaurants, and adventure activities are open and running at full capacity with all lifts operating and forecasts predicting new snow in the days ahead. Trails Aliga and Avet where the races will be held. Photo by Grandvalira. 24 and 25 February: Skimo 6 and Skimo 10, The Three Refuges Crossing. It leaves on the 24th from the Grau Roig sector and returns to the same place on the 25th. 24 February (from 4 p.m.): Après Ski at the Terrassa Abelletes with Thom Ace, NERD.A, and Masaka, in the Pas de la Casa sector. 24 February (from 4 p.m.): Après-Ski Party at L’Abarset, El Tarter sector with Los Suruba. 2 March: 5th night of Skiing, charity dinner for athletes at Borda Pairal restaurant. 10 and 11 March: Snowbike Grandvalira. Participants will have to navigate a 700 m vertical difference over the 22 km course. Grau Roig Sector. 21 to 25 March: Total Fight Masters of Freestyle 2018. The 14th edition of the Total Fight Masters of Freestyle will be held at the El Tarter Snowpark. Shot of Grandvalira regions Soldeu- El Tarter- Grau. Read our old post on Grandvalira. Next PostNext Are you ready for the Mountain Gourmet Experience of 2018? 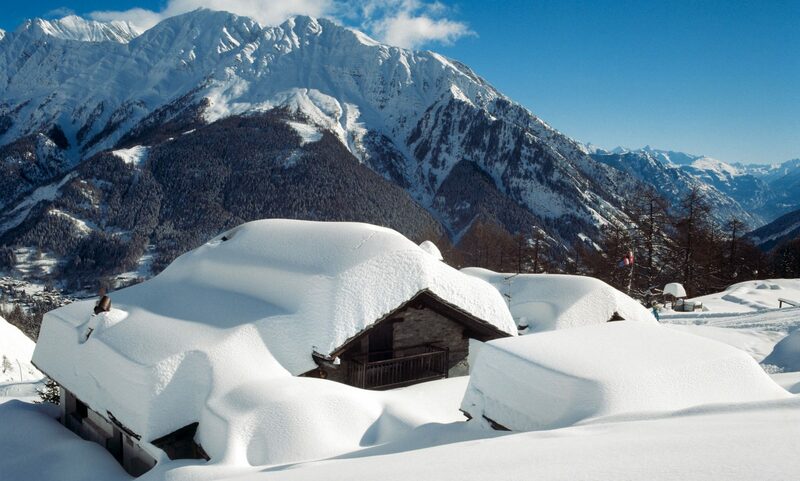 Courmayeur Mont Blanc is waiting for you!